CDC is committed to providing top notch technical training in a professional and family friendly environment. We offer both recreational and competitive dance programs and strive to instill confidence, self discipline, and a passion for the performing arts in all of our students. We invite you to join our dance family and begin your child’s arts education! Current Class Schedules are listed here. 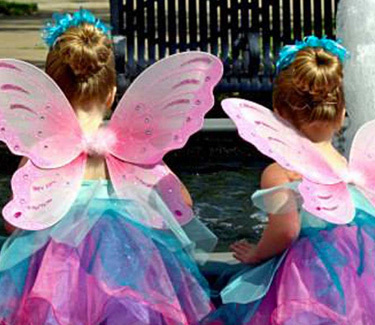 Our Children's Dance Program is a leveled system beginning at age 5 years. Pre-School classes are not leveled. 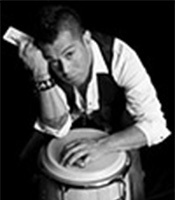 Dancers are placed in classes based on skill and experience. Ages listed should be used as a loose guideline, however the actual skill level of the dancer will determine his or her class placement. Learn more about City Dance Center, the programs we offer, and our amazing team of instructors! 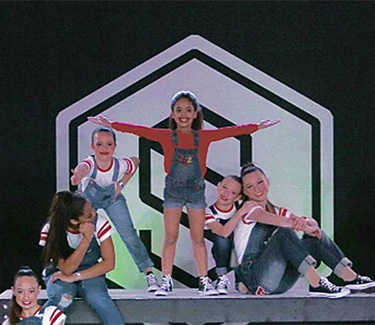 Have a question about our dance programs? Drop us a line! We love hearing from current and potential students, and we'll be happy to assist any way we can. 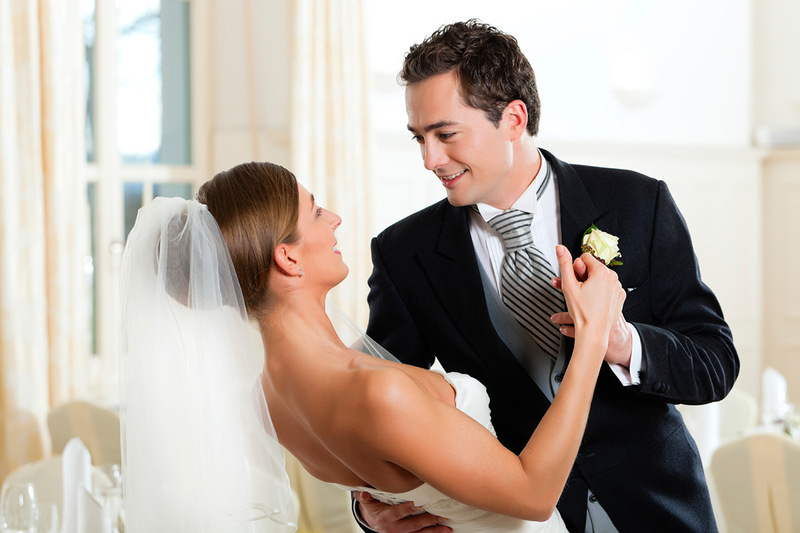 City Dance Center is pleased to offer Wedding Dance Instruction to couples, Wedding Parties, Bride and Father, Groom and mother, etc. We know that you want every detail of your big day to be perfect, and a polished first dance is a big part of making your Wedding Day special. Whether you want a classic and formal dance, something crazy and fun, or maybe a dance that incorporates a little classic and a little crazy, we do it all! We also love working with wedding parties, the bride and her father, and the groom and his mother. We will create memorable choreography that will bring your whole wedding party into the mix and make a lasting impression with your guests! Question: What is your pricing for private wedding instructions? Question: How do I book my private lessons? Answer: Call the studio at 409-833-7772 or email jacey@beaumontcitydance.com We will get some information from you about the style of dance your are interested in, your wedding date, music selection, etc… and then book your privates based on your availability and ours. Question: How far in advance should I book my private instructions? Answer: You can book your privates as far in advance as you like, but we do not recommend scheduling them any sooner than 2 months ahead of the wedding date. 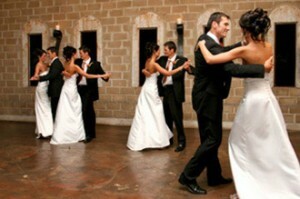 The optimal time to learn your wedding dance would be about a month in advance of the wedding. This way you have plenty of time to practice, but you haven’t learned the dance so far in advance that you forget it by the wedding day. Please keep in mind though, that every couple is different and learns at a different pace. Question: How do I choose the style of my dance? Answer: Your dance style will be based in large part on your music choice, so make sure you pick a song that you and your partner love and are familiar with. Question: What should I wear to my private lessons? Answer: We encourage you to dress comfortably, but it is very helpful if the bride to be brings her wedding shoes or something similar to practice in. Answer: Remember that these lessons are meant to be fun! Don’t put too much pressure on yourself or your partner to do every step perfect. No matter what, you want to relax and enjoy the process. We will make sure you look great when you step onto the dance floor! City Dance Center © 2019. All Rights Reserved.